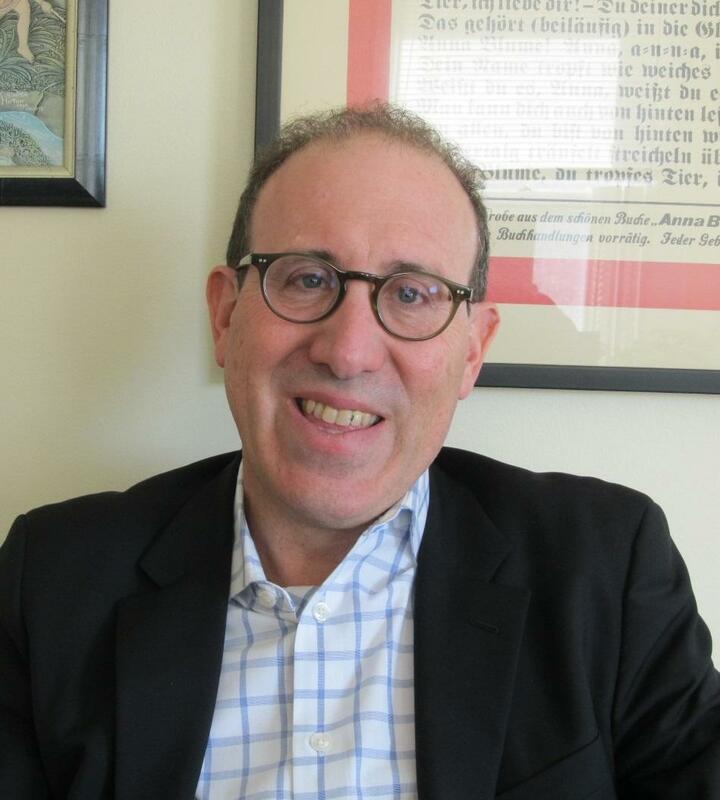 This year's Weissberg Chair in Human Rights and Social Justice at Beloit College is Joel Simon. Simon, a journalist and author, has been executive director of the Committee to Protect Journalists (CPJ) since 2006. Friday night, Simon will give a public lecture on freedom of the press. Saturday, Simon will take part in a panel discussion called "Valuing Fact and Truth in the Age of Fake News." WNIJ's Guy Stephens spoke with Simon for this week's Friday Forum. He started by asking Simon about the term "fake news." JS: I never talk about 'fake news.' It's not a term I use. I resist it. I think, when I talk about what President Trump seems to be suggesting, when he talks about fake news, I talk about it in a different way. So let's go back to the origins. You know, when 'fake news' sort of emerged as a term, it was in the aftermath of the 2016 election, and it was used to refer to stories that were what's called 'clickbait.' So they were exaggerated stories that were false, but that seemed to attract people to click on them which, you know, generated advertising. And they seemed to be generated in different ways by these websites that were looking for traffic. Trump then appropriated the term and started using it to describe news stories that were critical of him or his administration. And then it got jumbled together with all sorts of different things like disinformation and misinformation and stories that were inaccurate. And stories that were misleading. And stories that were just run-of-the-mill mistakes. So I really think the term has no meaning. It's a political term, it's used to beat up and delegitimize the media. It's being appropriated not just across the country by politicians who don't like critical reporting, but also by repressive governments around the world. When they don't like critical reporting, they call it 'fake news.' A number of countries around the world have passed 'fake news' laws. So they're criminalizing 'fake news.' More journalists are being jailed around the world on 'fake news' charges. So this has a really significant effect. It's empowering autocratic leaders around the world who are using this term to justify that repression. So whether you like to use the term or not, people are appropriating it and using it for their purposes. So what does one do to combat that phenomena? JS: Well, what phenomena are we combatting? So let's talk about one phenomena, which is that President Trump is trying to delegitimize criticism of his administration. And he said in an interview with Lesley Stahl from CBS News -- he was asked why he used this term. And he basically said, 'Listen, I do this, why I talked the media, so that when you guys print stuff about me people don't believe it.' So let's define that as the problem. If we do that, I think it's really up to journalists to just get on with their job, you know, do the best possible reporting they can do to be fair, to be accurate, to be aggressive, and demanding accountability. That's their job, but to not take the bait, honestly. So that's the first step. Now if you define the problem of Trump using fake news as we at CPJ do -- that this kind of language is empowering autocratic leaders around the world and actually making it easier for them to repress journalists and throw them in jail -- then we have a different challenge, which is that we believe this term is not just undermining public confidence in the media here, which is something that's unfortunate, but it's actually creating a more dangerous environment for journalists around the world. Then you have to confront the president directly, and senior people in his administration, and try and convince them of the negative impact this term has, and that there's an awareness of the way in which, you know, this kind of rhetoric is deeply damaging. Also, it's deeply damaging in terms of the U.S. ability to influence behavior of repressive governments and defend the rights of journalists around the world. Do you see that there is an increase in danger to the media? JS: There's no question that we're seeing, more and more in this country, direct threats to journalists. And some of them seem to be inspired by the President's rhetoric. We have the pipe bombs that were sent to CNN. We have instances in which, you know, journalists have been roughed up at Trump rallies. We have the level of online vitriol against the media. It's actually inhibiting some journalists from doing this kind of reporting because the consequences can be brutal. It can be brutal to be trolled in that way. So I do think -- I don't want to overstate it -- but there's been a number of incidents that have been really scary that impact the media, that have seemed to be people who are inspired by this rhetoric. If you look at the Jamal Kashoggi murder carried out at the Saudi consulate in Istanbul, Turkey -- allegedly on the orders of the Crown Prince Muhammed Ben Salman -- and you look at reports that this is part of a concerted strategy to suppress critics within the kingdom, [Salman] clearly was not concerned about the response from the Trump administration. And it turns out that he had no reason to be concerned because Trump has basically said that the truth here is unknowable, and that the relationship with the Saudi government is more important than the life of a single journalist. So that sends a terrible message to autocratic regimes around the world: that there are no consequences for killing journalists. And I think that's deeply regrettable. What message would you have for the non-journalists to deal with this? JS: I think the most important thing is to recognize that this is an unprecedented moment. I do think that people are becoming aware -- just in this country people are responding to this kind of hostile anti-media rhetoric. I think they recognize and value, you know, that the tradition in this country, the political tradition derived from the First Amendment, is one of tolerance for the broadest possible expression of views. That that is deeply embedded in our political culture, that that has informed the way we sort of behave in this country, and that those norms are under attack and need to be defended. I also think that the response of the public to the murder of Jamal Khashoggi, as awful as that crime was, does suggest that people are aware that journalists around the world are risking their lives to keep us informed. And then we have to stand up and defend those journalists when they're faced with this kind of violent attack. I think the most important thing that the public can do is value the free press -- not an individual journalist, not an individual media outlet -- and recognizing that we are living through a moment when the media is polarized, when there's lots of reasons to be mad at journalists and people don't like everything that journalists do. But we can't solve that problem by compromising our historic commitment to press freedom, and we have to ensure that the U.S. is a beacon for press freedom around the world, and the U.S. has the ability to defend the rights of journalists, and to do so credibly, because our national interest to a certain extent depends on our ability to ensure that information flows freely across borders. That has a strategic and even economic benefit to our country. And so I think that the U.S. public needs to insist that we respect press freedom at home and promote press freedom abroad, and recognize that this is a difficult time to retain those values and those ideals, but do so we must.